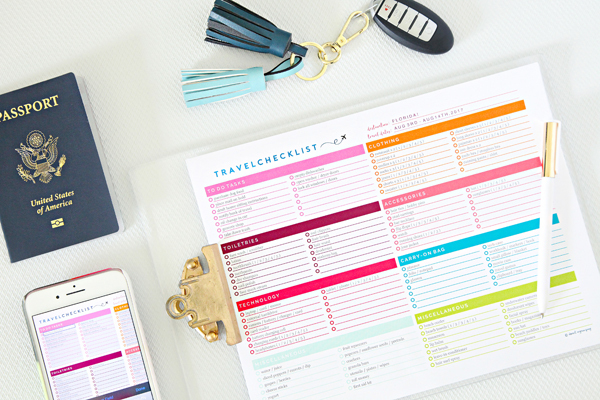 IHeart Organizing: Our Favorite Road Trip Tips! 34 Our Favorite Road Trip Tips! We have created a bit of a summer tradition of heading down to Florida as a family to celebrate the final days of summer break. My in-laws have a place near the beach and it has become our favorite vacation destination and a trip that we all look forward to each and every year. We will fly if airfare deals pop up, however, we typically opt to drive the whopping 24-hour route. We enjoy the scenery, the downtime in the car, the cost savings and having our own vehicle for the twelve days we are roaming around the Gulf Coast. The trip continues to get easier and easier, so today I thought I would share a few of our favorite tips for taking a family road trip. 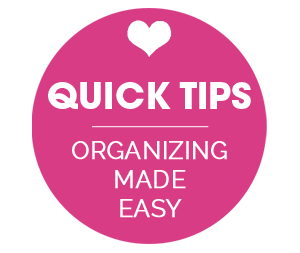 I am sure it is no surprise that my number one tip is to make a list and check it twice. I have a ridiculously bad memory so I rely heavily on lists. And forgetting to do something or to bring something can definitely put a damper on the trip. 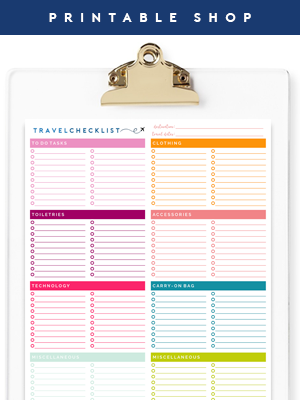 I have offered a travel checklist in my Etsy shop for years, and recently updated the printable to a fillable and savable version. Being able to type in my list and save the contents to reuse is so convenient. And I really love that I can store it online and access it on my tablet/phone anytime. The list is broken down into categories that keep track of all of the tasks we need to do to prep the house and plan for the trip (put our mail on hold, put together instructions for the housesitter, take the car in for an oil change, etc...) and also has packing categories. 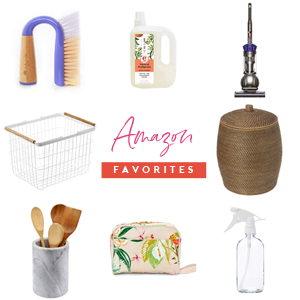 The categories include Clothing, Toiletries, Accessories, Technology, Carry-On Bag and two sections titled Miscellaneous, which I use for our snacks and meals and also our beach bag. I put together the list to include the entire family and just add a ( 1 / 2 / 3 / 4 / 5 ) after the items that apply to everyone. And because I can save it and use it for different occasions, it works well for both flying and automobile trips. A minimum of two of our trip days is spent in the car because we drive straight through each way. The better I can be about packing snacks and activities, the fewer stops we have to make and the more relaxed the trip is in general. I try to bring enough food to feed our family of five for dinner, breakfast, and snacks in-between. Anything that we don't eat during the drive just transfers into our beach bag and cooler when we arrive in Florida. For our dry foods, I use a latched and lidded bin and fill it with snack size bags of popcorn, pretzels, seeds, crackers, granola bars and fruit pouches. I found reusable food containers at the dollar store and they couldn't be more perfect for organizing the contents inside of our cooler. 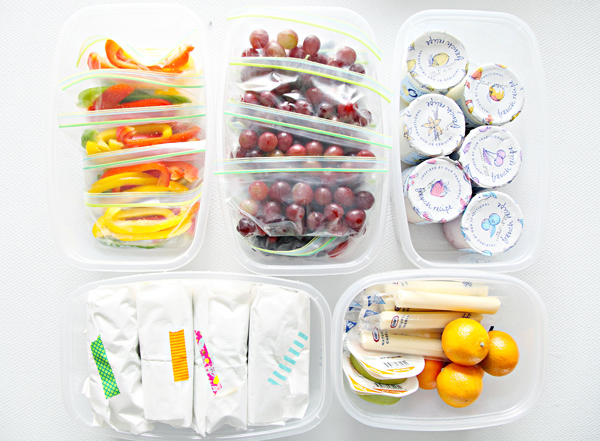 We start by portioning out veggies, fruit, yogurt, cheese sticks, dips, and sandwiches/wraps. The cooler is always placed in the far back seat next to one of the boys and they are the ones responsible for grabbing the items and handing them out. In the past, it would become a slushy mess as the ice melted and the contents were rummaged. The small bins protect the contents so nothing becomes soggy or squooshed, and this time I decided to use freezer bags to divide up the ice. That one small idea was AMAZING and completely changed how we will forever pack our cooler. All of our beverages are stored at the bottom of the cooler, as well as the smaller container of snacks. Once the lid was added, I stacked the remaining lidded food bins. And the final two bags on top. This truly couldn't have worked out any better! We used this method throughout the entire trip and everything stayed wonderfully cold and there was never a mess inside of the cooler. In the past when one thing was pulled out of the cooler, the ice would cave in and things couldn't be put back easily and digging through the ice was hard on the hands. Who knew simple ice packs would be so exciting?! I seriously was giddy over this light bulb moment. When we arrive back home after our trip, we wash out all of the bags and bins and keep them stored inside of the cooler until next time. The majority of the items we eat are basic finger foods, but there are a few things that require utensils. Those were all placed inside of a lightweight bin along with wipes for hands and the car. 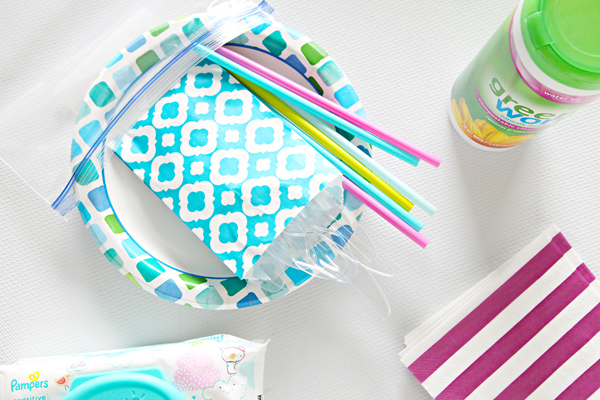 I had a leftover stack of party treat bags and they worked really great for corralling the utensils and straws. 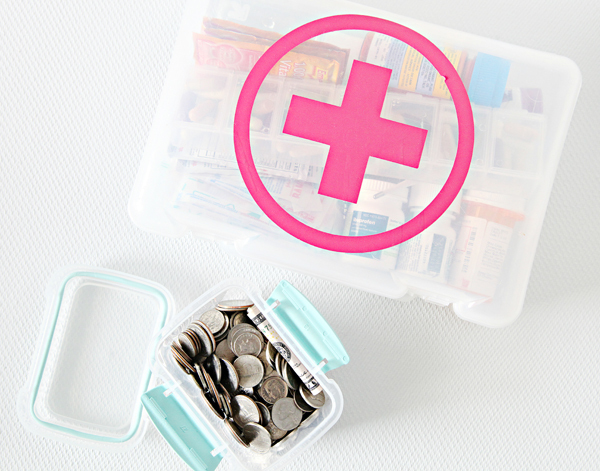 Awhile back I realized that craft cases work beautifully for assembling a good first aid kit. I stocked ours with bandages, cleanser, cotton pads, a thermometer, pain reliever/fever reducers, vitamins, and medications. 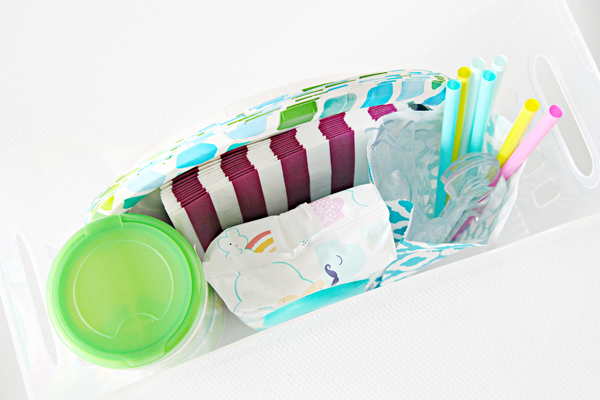 With three boys and a clumsy mom, this is always a helpful kit to keep on hand and was used a few times while we were away. And we always have a bin filled with change and small bills in the center console of the car to prepare for any road tolls. We each pack a small backpack or weekender bag for clothing and a second small tote for personal items and travel activities. Each boy brings a grade appropriate workbook, a reading book and a journal, along with fine tip markers for writing and coloring. They also use a hard-sided pencil box to hold their headphones and charging cords for their tablets/phones. A few small travel games round out the contents of their drawstring backpacks. Every bit of space matters, and we have been able to reduce the bulk of our sleeping linens by using standard-sized throw blankets and 14x20" pillow inserts. The smaller pillows work just as well as standard sizes, but take up about half of the space in each seat. And when we get back home, they are easily vacuum sealed and stored inside of a suitcase until our next adventure. If you have younger kiddos, I have found these inexpensive trays from IKEA to be huge car trip sanity savers. They work great for meals and small activities, are easy to clean, and fit under most seats. 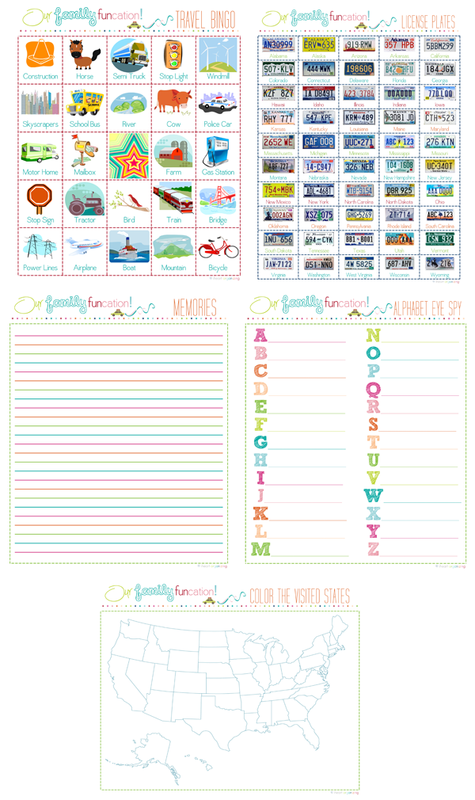 Another road trip helper for littles are these free activity printables I created a few years ago. 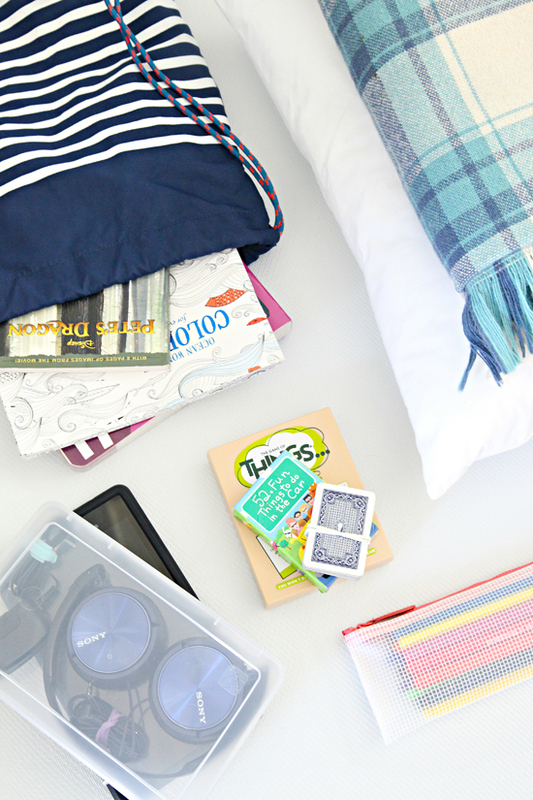 These are just a few of the ways we prep, make room in our car, drive long distances with content kids, organize our snacks and meals, and stay cozy along the way! I wish I could say that our entire trip went off without a hitch, but it just wouldn't be a Jones family vacation without a few hiccups, adventures and stories to tell. All the organizing in the world doesn't prevent you from unknowingly filling up the car with bad gas (and then breaking down for a full day because of it), but just imagine the jokes a car full of boys made out of that experience... Ha! One suggestion on the cooler ice. Consider using half gallon milk or OJ containers and freeze as a big block. 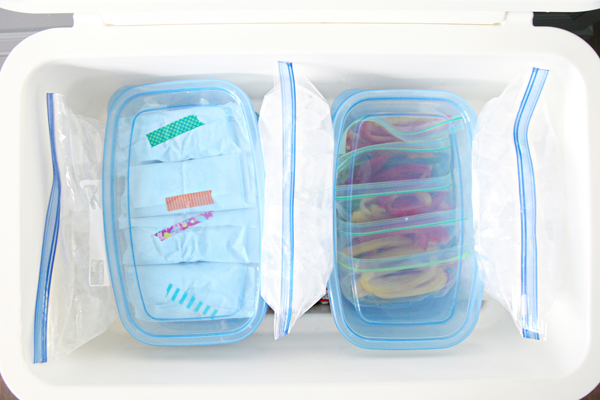 The ice lasts longer and there is no mess from melting (as you discovered with the ziplocs). I'm a camper and block ice is much better to deal with than chipped/cubed ice over a period of time. That would definitely be another option, thank you for the suggestion! I find that the more rectangular juice containers (think the Ocean Spray type) work even better than half gallon milk containers, since they are narrower, they tend to fit a little better. Such a timely post! We have 2 trips coming up next month. You have the best ideas. I have never thought to put our groceries in a bin instead of shopping bags. Now maybe the dog won't sit on the loaf of bread! Also, downloaded your packing list. I love a good list! Curious what kind of car you use? I have 3 little ones and right now we all fit happily in a honda accord! I know this won't last much longer. We live in new england and will be driving to the Gulf coast(Bradenton, FL) once (or twice!) a year when they are a bit older. Just curious what you take and maybe what your dream car would be to take keeping in mind gas mileage. This is OG-style iheartorganizing content!! I adore it!!! Those are great tips! I second the sturdier milk jug idea. The plastic chocolate milk quart ones or gatorade bottles are super sturdy for reuse. Or use water bottles, emptying them slightly prior to freezing (and have a plan to "reseal" or label them once re-opened for use. My kids were not good travelers, unfortunately. I had to get really creative. A big help for me was to make a panoramic of several screen shots from Google maps to make a page-sized more detailed map for our 7-hour trips to my sisters. That is super easy now thanks to phone apps! I would put them in presentation booklets (which have several in-bound page protectors) so my kids could follow along. I marked planned stops, and landmarks (not much in ND!). They could keep track with their own dry erase marker. The other pages in the booklet held printable car games and a few fun activities based on their interests printed as a surprise prior to the trip. Another big help was dollar store metal 1/4 sheet jelly roll pans. They fit nicely on their laps and held crayons and snacks easily. They also were magnetic, which allowed for more activities. I also had to have a plan for low-light/night driving. I found light-up tops that they could spin as well as other glow-in-the-dark activities that were reserved for night driving and put adjustable head-lantern lights on the backs of our headrests, allowing the light to be adjusted down, dimmed or red, spending on the driver's needs. We haven't gotten to do trips longer than my sisters, but hope to get to Niagara Falls which is 3 days each way. My mom always wrapped up a bag of small presents for us kids for those road trips. Each day (or half day?) We would get something new and fun. It would just be a mad libs book or some premium coloring utensils, cards, etc. ...and don't forget the Pull & Peel licorice rations! Such a lifesaver! 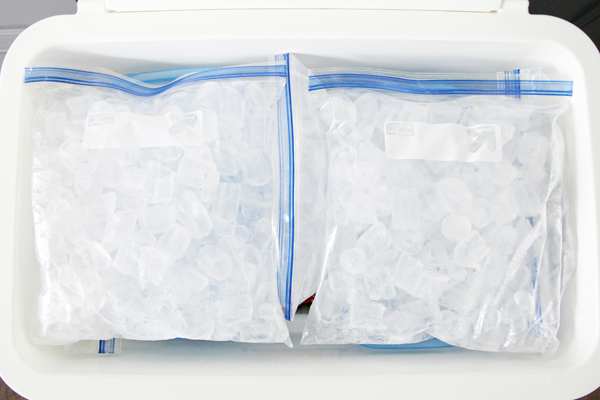 I recently discovered the gallon bags of ice for the cooler too, after seeing a genius friend do it on a road trip. I love it, because you can put it in the freezer at the beach house/hotel, etc. and use it for days at the beach. If it melts, however, it's cheap and easy to replace, even with a hotel ice machine! I am famous for leaving those plastic ice packs everywhere I go. Such a GREAT post Jen -- I even bookmarked it. I LOVE Florida, even lived there twice, but MN is home. We were going to head to Duluth this coming Sunday, but alas, our littles (now 20 & 23 haha) can't get the time off from work. Boo! 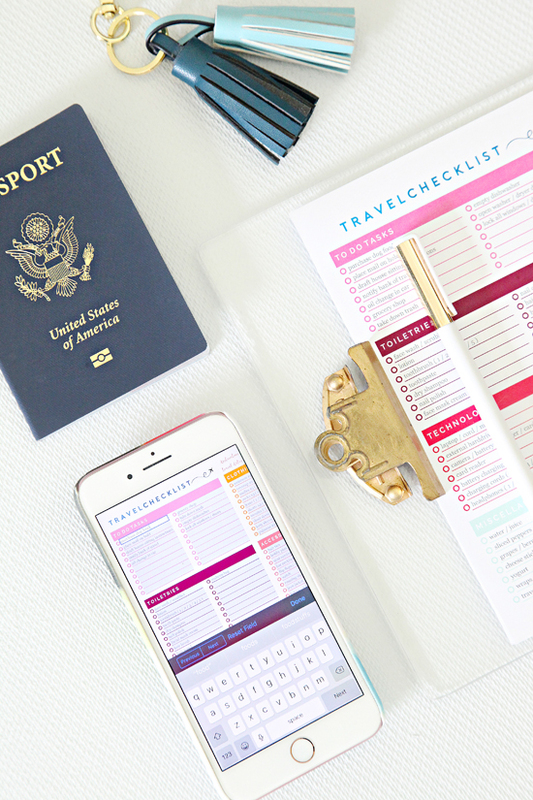 I plan on getting your travel printout soon! 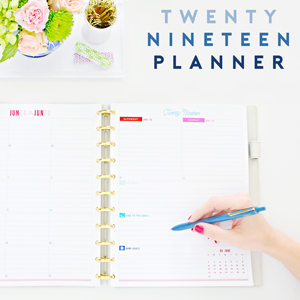 I'm all about organization and just recently became obsessed with all things Planners & Binders -- presently working on my cleaning schedule, but next will be general household and want to add your travel checklist. Thanks for the inspiration! I love color and the visual thing and have used your yearly calendar in my prayer journal for a couple of years now, you are one of my favorites on Etsy!! Blessings! Thank you so much! I appreciate all of your support! ♥ And I am sorry to hear about your Duluth trip. Our oldest just started working and we are already missing him as well. Fantastic post! We also take a family trip to the Gulf Coast (30A, Seaside) from Chicago every year. My favorite ice method is to use reusable ice cubes (little soft-sided squares of water when warm and perfect ice cubes when cold...can be used over and over!). We also keep a ton of change in the car, just in case. I put the change in a "Coin Boy" (perfect coin organization) and then it fits perfectly inside of a JuJuBe Pacipod. The straps inside of the Pacipod are perfect to fold up cash also. 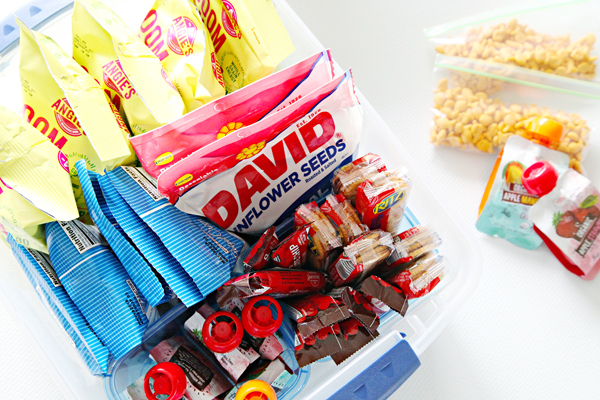 It's one of my most favorite organizing tricks for the car (it also makes a fantastic gift for a kid going to camp or college, etc). 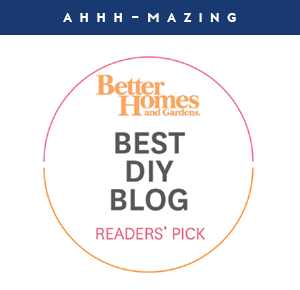 I just love ve your blog! Happy travels! Oooh! We visited Seaside as part of this year's trip and it was beautiful. :D I thought about those reusable ice cubes, but wasn't sure how to re-freeze them throughout our travels. I haven't heard of the other products you mentioned, off to check them out now. Thank you for the tips! This is such a helpful post, thank you! I love the home projects you post, and i especially love practical tips like these. Great information! Thanks Jill! Wishing you happy and safe travels! You are a GENIUS! This post is so helpful for me and my family. We have a vintage airstream so we take many short and long road trips with it. I wish this post was out before we went to Yosemite this summer. We are always struggling with packing the cooler. We were not putting food in containers or plastic bags. Then the ice would melt and my expensive grass fed beef or fresh sausage from Whole Foods would contaminate the whole cooler. We have literally lost probably $300 in food over our last several trips because we were not packing the cooler smart. I sent your post to my husband and told him we need to use these tips for our upcoming Grand Canyon trip. One thing we did invest in after our Yosemite trip was a Pelican Cooler. We will earn back the hefty price of it just in the food we save because it will keep ice frozen for days. No more ice melting or changing it out for weekend trips and no more spoiling food! Love this post! Very timely for me as well as we're headed to Yellowstone this Saturday! How do you refill the ice bags at gas stations? Do you ask and its free from the soda machine, or do you pay for another 5 lb bag? Hi Kim! We purchase a bag of ice to refill into our individual freezer bags. :) Wishing you a safe and superfun trip to Yellowstone! The tips are great :) I will utilize some of them even without having kids! 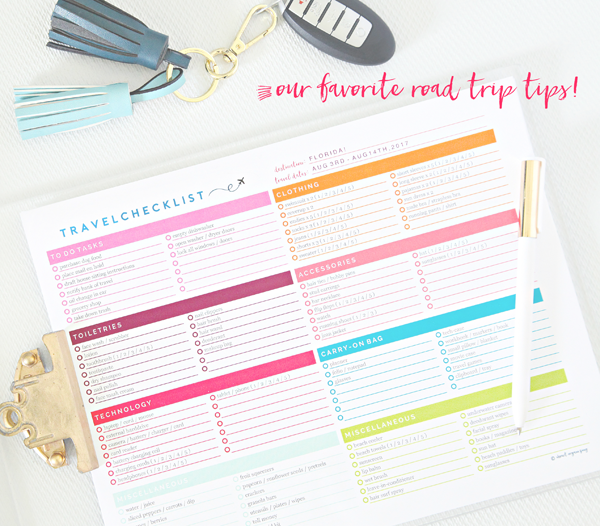 We're headed on a 15 hour road trip next month and WOW, you (of course) put a lot more thought into organizing and prepping than I do! Definitely inspiring!! Love the Ziploc ice idea, dealing with cooler ice is one of my least favorite things about camping/road tripping. Just a heads up...Jen's gorgeous swimsuit is currently on sale at J.Crew and if you use the code HELLOSALE you get another 40% off. I just grabbed one for myself :) Thanks for the post! Thanks for the tip! I just ordered one :). Great tips. We reuse the ice packs from our Hello Fresh delivery in our cooler. They stay cold for hours and then we pop them in the freezer when we reach our destination. So many awesome tips, Jen! Will definitely be putting some of these to use on our next trip! I didn't know in the US you could purchase ice on the roads. Only drawback you have to have a freezer to "refreeze" them at night in order to use them the next day. 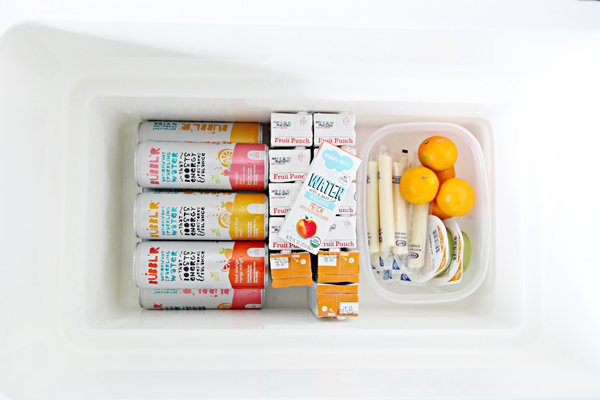 Thank you for the cooler packing inspiration! Our family drove 21 hours from the Midwest to the Outer Banks. I used your idea for packing pre-portioned items inside containers and Nordic Ice gel packs. Game changer!